there is an Unicode rendering bug in KODI. then I have replaced default font to Latha font which is default unicode font in Windows PC. Most of the fonts are rendering incorrectly. It has to be in red text which I typed in above picture. I think there is a problem with text engine. 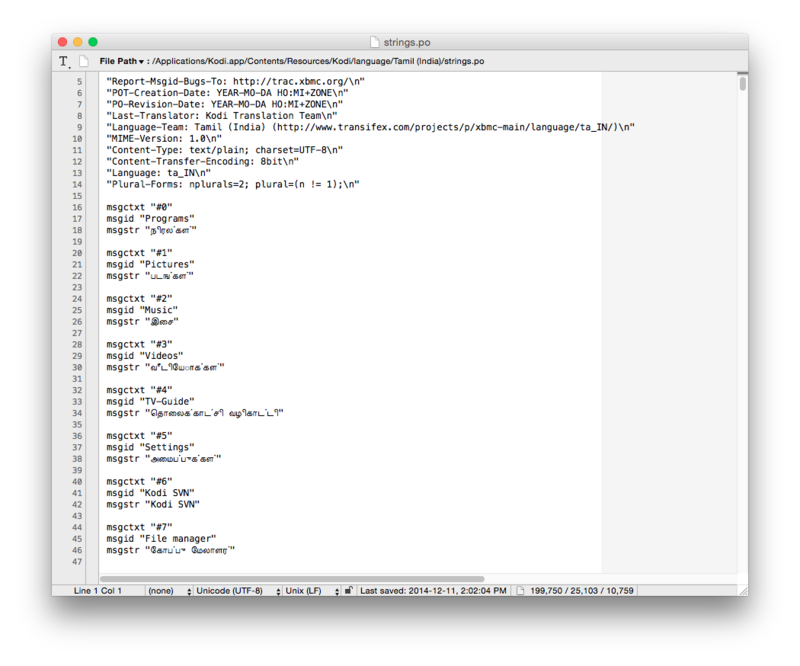 It doesn't display correctly with Unicode characters. but it doesn't display correctly.. Please some genius help me.. Thanks for reporting. Unfortunatelly it is a known problem and a limitation to the font we are using. 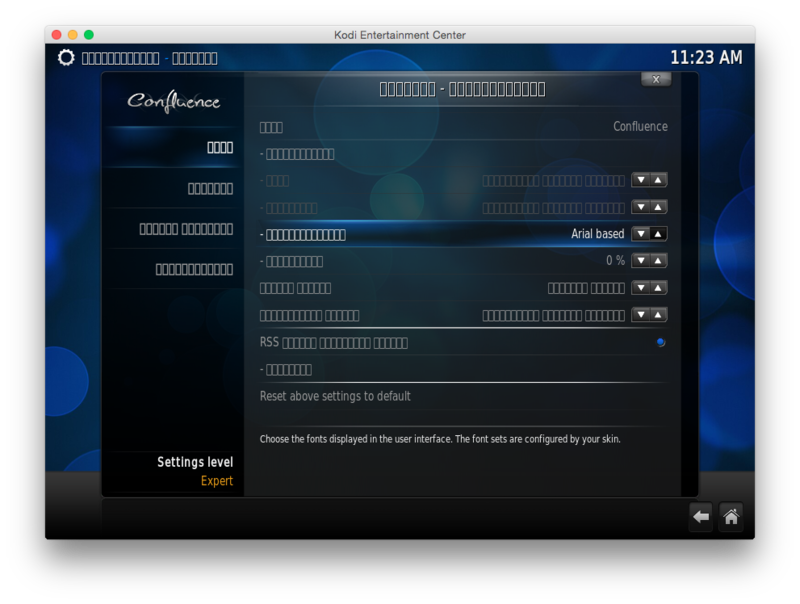 I am sure there is a working font suitable for your language which you copy into kodi works ok. Try searching on forums or post a message on Transifex to get help from other users. I would also try a windows arial font as well. Asian Languages its needs to be render it by some logical steps. it also happening in Adobe Photoshop. I dont know why they dont fix that. I think this is an error with TextEngine that used in KODI. Do strings appear correct in the strings.po file ? 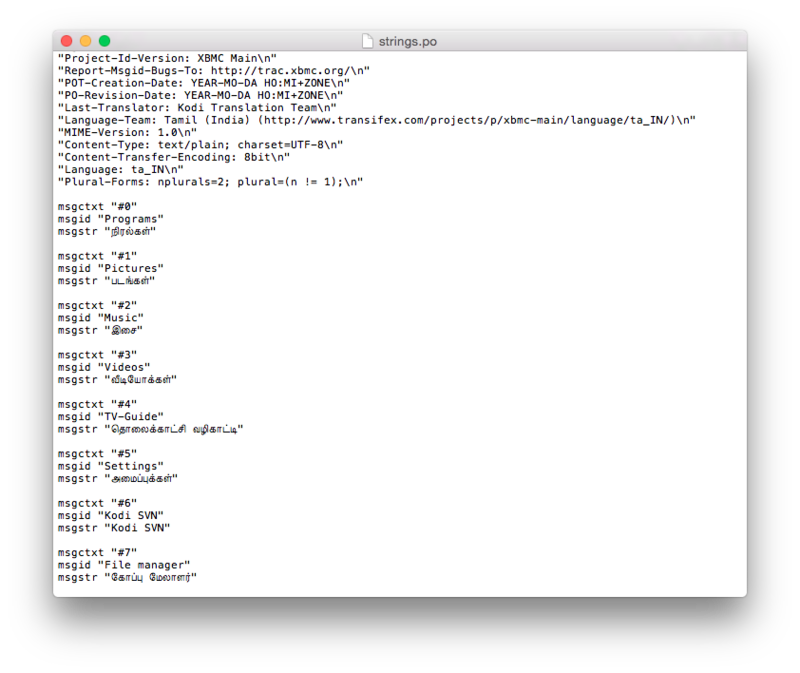 i think it is correct in strings.po file because when I look at that file in browser it seems correct. I think something wrong with text engine that rendering text. In tamil language font places are different than latin/english font. Try the fonts from Google early access program, start from the Noto Sans Tamil. p.s. I don't read nor speak Tamil. I'm from Sri Lanka. I have same problem. kodi not rendering Sinhalese unicode correctly. It is a bug. But they don't care about these bugs. No luck.. So the problem is that you can get it to draw with an unicode font, but that leads to the first letter switching places with the second? 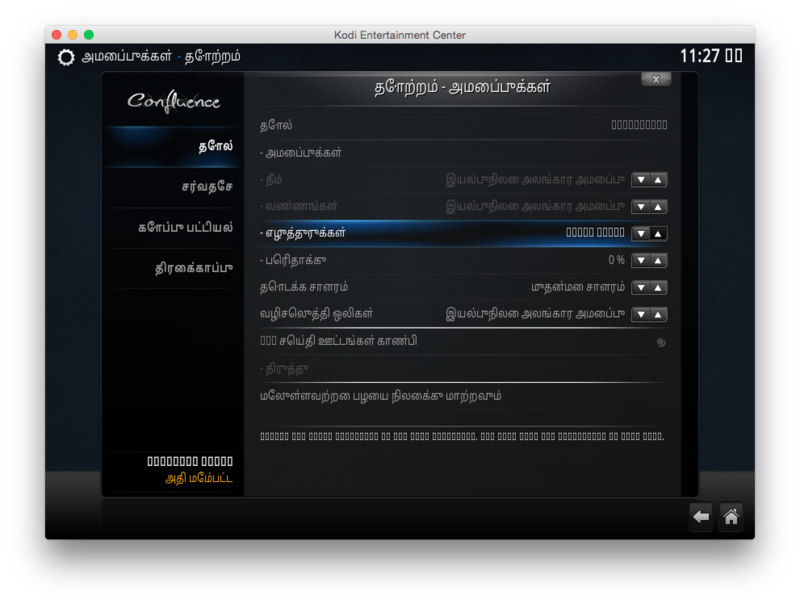 I'm translating Kodi to Sinhala in transifex. but kodi not rendering unicode correctly. Please fix that kodi team. 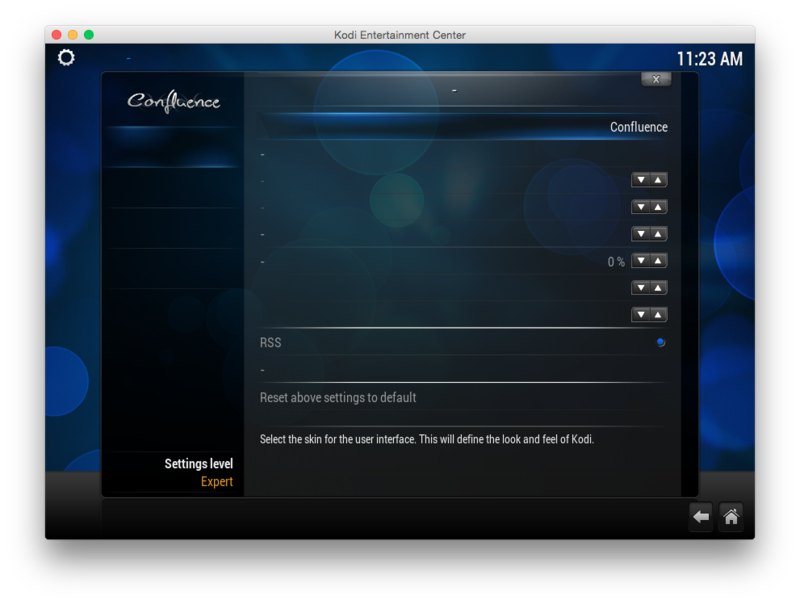 Because, I Love KODI ! (2015-10-25, 21:18)Razze Wrote: [ -> ] So the problem is that you can get it to draw with an unicode font, but that leads to the first letter switching places with the second? Unicode rendering solutions for Sinhala, Tamil and hindi. Yes. but, not always first letter. 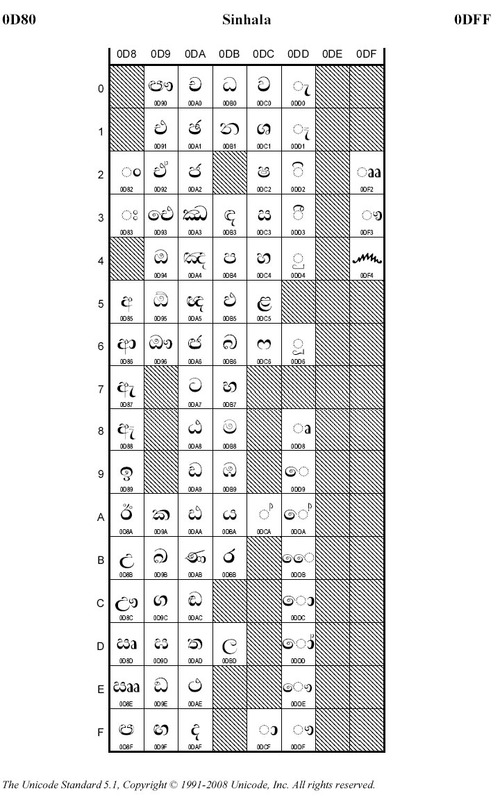 problem with Sinhalese (and tamil) vowel signs. in english, sound "sa" has two letters. in sinhala sound "sa" has only one letter. in english sound "s" has one letter. in sinhala sound "s" has two letters. the problem is, sinhala language using some vowels before Consonants. in english vowels always use after Consonants. but, for ease of sorting Unicode characters, the vowel ෙ (e) put after the Consonant. but it should put before Consonant. ස ෙ is wrong. සෙ is correct. this correcting happening when rendering unicode. actually vowel " ෙ" is after the Consonant. but unicode rendering and layout show vowel " ෙ" before Consonant. Pango is a library for laying out and rendering of text. GTK / GNOME uses this library to `shape' strings, i.e., to converts strings encoded in different languages into sequences of glyphs (shapes) from fonts.